Design apps and websites your users love once you master the courses in this bundle. It's not enough to just put your content up online and hope people take notice. You need to give people an experience they'll enjoy by making your sites and apps easy to navigate. Learn how to build a better, more responsive website that visitors will love coming back to with the UI/UX Professional Designer Bundle, on sale now for just $39 (approx £29)! 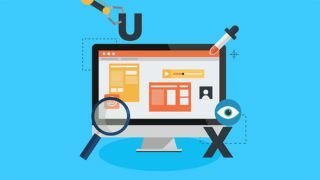 The UI and UX Designer Bundle includes eight incredible courses that are packed with lessons to teach you the fundamentals of web and app design with the goal of improving the overall user experience on your websites and apps. You'll work through ways to use popular coding languages such as HTML and CSS and tweak your site to be more responsive and easier for users to interact with. You'll pick up the concepts of user interface and modern design principles in a snap with this collection of courses. You can get the UI and UX Designer Bundle on sale right now for just $39 (approx £29). That's a 94% saving off the full retail price for this can't-miss bundle of courses that will up your design game, so grab this deal today.